Is there anything you can’t buy in today’s shopping malls? The list must be pretty short already, but now we can cut artifacts off it. 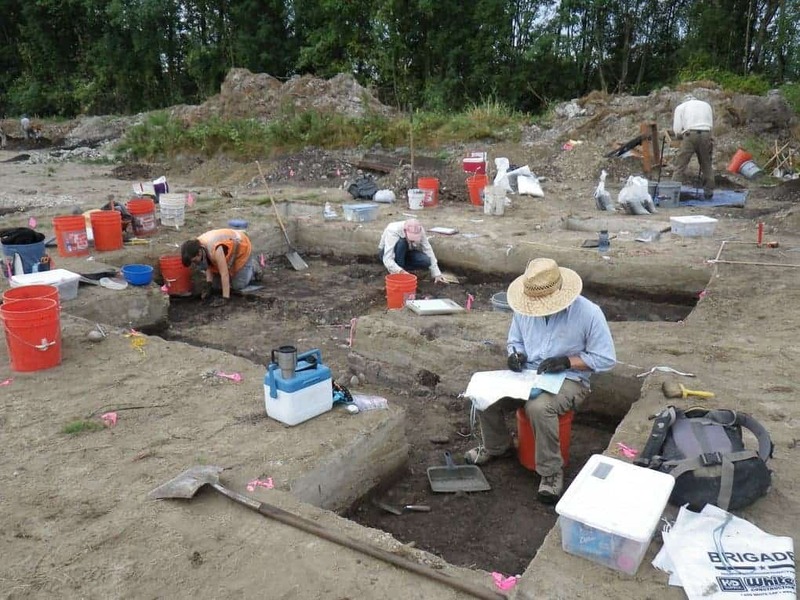 Archaeologists in Redmond US., working on a routine survey to get the green light for a construction site near a mall in the area, found thousands of stone tools estimated to be at least 10,000 years old, “The Seattle Times” reported. It started off as a routine dig, but it quicky became one of the most important finds in the area when the archaeologists dug deeper. The lot is situated on the shores of Bear Creek, a tributary to the Sammamish River, near Redmond Town Center in Redmond, Washington. It was already surveyed back in 2009, during a project to restore salmon habitat in the creek (they were confined in a rock-lined channel decades before). The findings then were an unremarkable assortment of artifacts, reported archaeologist Robert Kopperl of SWCA Environmental Consultants, who led the field investigations. This time however, the team dug deeper, and found a foot-thick layer of peat. Preserved in the remnants of this ancient marsh, the team found more than 4,000 stone flakes, scrapers, awls and spear points crafted by the ancient inhabitants of the region. Carbon dating showed that the peat was at least 10,000 years old, making the tools some of the oldest found in Puget Sound. The site appears to have been occupied by small groups of people who were making and repairing stone tools, said Kopperl. Preliminary chemical analysis of one of the tools showed traces of the food the stone age people of Puget Sound were eating, including bison, deer, bear, sheep and salmon. Archaeologists are very excited about the find, and it’s easy to see why: this treasure trove of artifacts is already offering fresh insight into a time when the last ice age was drawing to a close and humans shared the land with prehistoric bison and mammoths, that roamed freely and in large numbers in Western Washington, and it promises to reveal much more until all the artifacts are analyzed. “We knew right away that it was a pretty significant find,” said Washington State Historic Preservation Officer Allyson Brooks. Kopperl and his colleagues published their initial analysis earlier this year in the journal PaleoAmerica. He’ll discuss the findings Saturday morning in a presentation sponsored by the Redmond Historical Society.